The E9x M3 models are very special indeed – the S65 4.0-litre V8 under the bonnet is not only derived from the legendary V10 found in the E60 M5, but it’s also the only V8 ever fitted to an M3 and it’s the last naturally aspirated engine to go out of production at BMW. That alone, means this generation of M3 has a good possibility of becoming a highly desired classic. Despite the fact refuelling is a constant habit the V8 in itself is reason enough for any true BMW fan to buy an E92 M3. It revs up to 8250 rpm and the throttle response is instantaneous, but there’s just one drawback. In my opinion it is way too quiet for a V8 – go through a tunnel, windows down and throttle pinned, and well, it is a bit disappointing. There was only one solution to that, upgrade the exhaust. 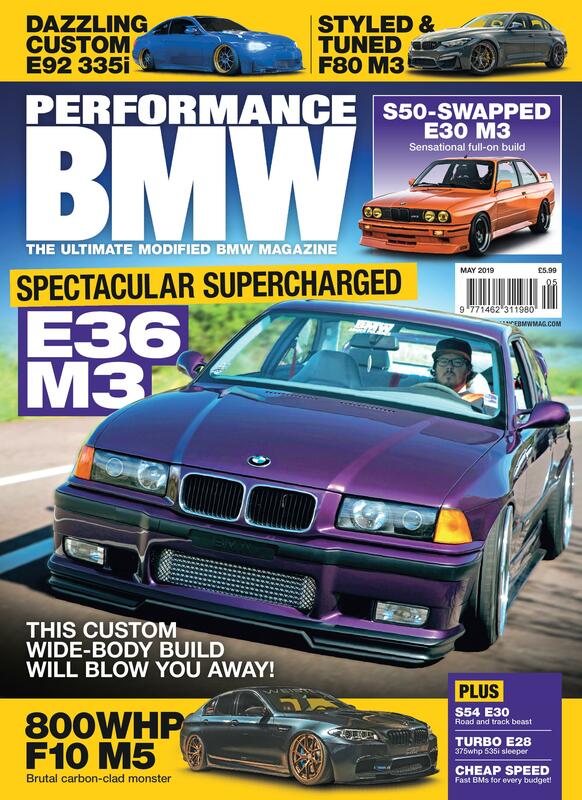 There’s always the worry that it’s going to be too loud – like the system that ex-PBMW editor Iain Curry fitted to his E30 320iS. It used to set off car alarms. That is not cool. So, I did a lot of research to see all the options available to me before making my decision. I wiled away hours checking out various compilation videos on YouTube from the likes of Quicksilver, Remus, Eisenmann, Milltek and Akrapovik, and scouring forums to see what fellow M3 owners were recommending. As it’s used for the daily commute and at weekends, I wanted it to be fairly civilised, and eventually decided on Eisenmann., who are responsible for designing the OEM systems on Porsche and AMG cars, and build their exhausts by hand. 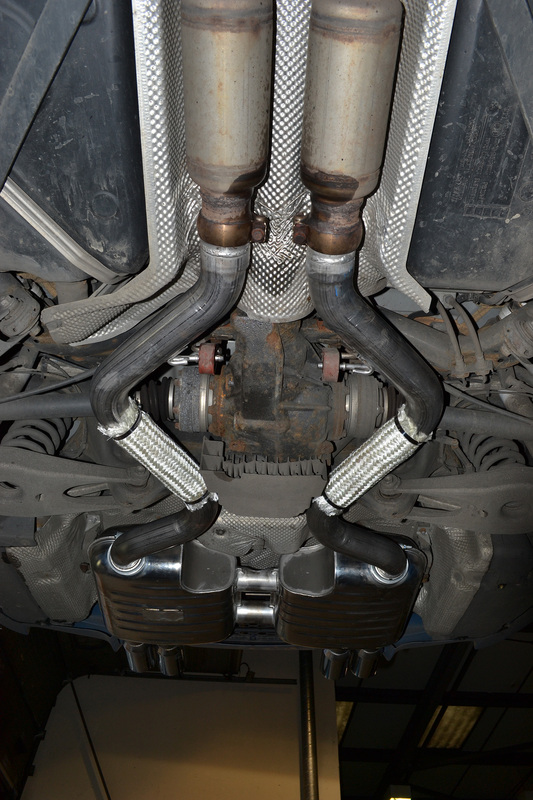 Via Eisenmann’s UK agent CA Technologies, I ordered their back box and connecting pipes, which allow you to install an aftermarket system without the need to cut the OEM piping. All I had to do was decide on what tips and sound level I wanted. 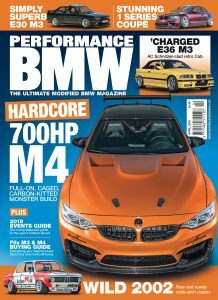 MD Roy Carvalho said that around 80 per cent of M3 owners opt for Race over Sport, and although it’s 20 db louder when the car is on the move I decided to take the chance, together with 83mm round perforated tips. I was intrigued as to whether fitting an aftermarket exhaust would improve performance so before I handed the car over to BMSport to install the system I put it on a rolling road. The end result showed 300lb ft of torque, which is five more than the book figure, but sadly it was over 37hp under what BMW quotes, at 382.7hp. However, when you take into account that grade of fuel, tyre pressures and atmospheric conditions can influence test accuracy, a loss of around 9% isn’t actually that bad. Tune in next month to see if it made more power and what I think of the new exhaust note.